If you qualify for a Great Choice Home Loan and you’re purchasing an existing home in a designated ZIP Code, you can apply for $15,000 in financial assistance for your down payment and closing costs. The Hardest Hit Fund Down Payment Assistance (HHF-DPA) program is available to Great Choice borrowers who purchase a home in a neighborhood that was hardest hit in the economic downturn and is recovering more slowly than other areas across the state. There are 49 designated ZIP Codes located in 33 Tennessee counties. * Indicates ZIP Codes that will be ineligible effective July 1, 2019. If you’re approved, your financial assistance comes in the form of a forgivable $15,000 second mortgage loan on your home. The second mortgage has a 0% interest rate and no monthly payments for the 10 year term. The loan is forgiven at 20% per year in years 6 through 10.See forgiveness schedule below. To be eligible, you must purchase an existing home (new construction is not allowed) using a Great Choice first mortgage loan in a designated ZIP Code. You must also complete a THDA-approved Homebuyer Education courses with an agency approved to work with HHF-DPA homebuyers. Click here to learn more about the required courses. Additional terms and conditions apply. Talk to an approved lender to help determine if you qualify and if this program may be right for you. You must comply with the terms and conditions of the Great Choice Home Loan Program and HHF-DPA second mortgage loan or penalties may apply, including immediate repayment. To qualify for THDA's new $15,000 HHF Down Payment Assistance program, you must meet the homebuyer education requirements, which consist of a pre-purchase course and a post purchase course. It is best to sign up for these courses as early in the homebuying process as possible, and we strongly encourage you to complete the class at least four weeks before your closing date. To learn more or to enroll in these courses, click here. Any suspected fraud in connection with the HHF-DPA Program should be reported to THDA for immediate review. 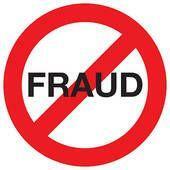 THDA reserves the right to decline funding or participation if it is determined that fraud has occurred. This interactive map will allow you to zoom in or search by address to see the designated ZIP codes.